8 x 4 pool with stairs on one side and bench to sit. 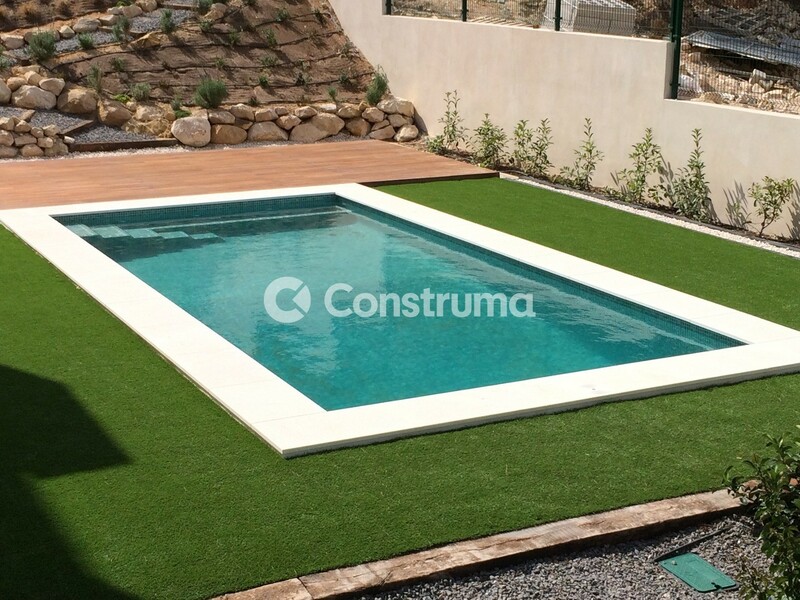 It is a rectangular pool, with capri limestone coronation, which contrasts very well with the green colored tile, which gives a very particular color to the water. The pool is surrounded by artificial turf and at one end of the terrace there is a space with tropical wood platform.